Minecraft Fans Rejoice: Welcome Alex! 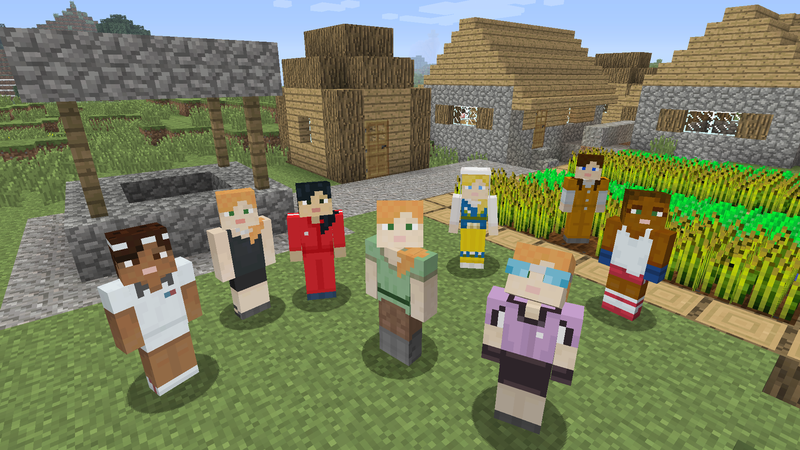 Minecraft announced last week that it would be adding a new default character. Her name is Alex. Yes, that’s right, her name. We finally have the option of choosing a default girl character instead of Steve! Listen, I love Steve, but I’m stoked to see Alex. Even better than my own excitement at this announcement was the loud “yes!” I heard when I told my Minecraft-obsessed daughters about her. “When most players begin their Minecraft adventure, there aren’t many looks to choose from. In fact, you only get to play as our blue-shirted friend. Now, everyone loves Steve – he’s probably the most famous minecrafter in the world, and has excellent stubble. These new default avatars come in a variety of skin and hair colors, as well as clothing and costume options. The skins are now available for free on all consoles. I’m going to start a whole new world just to welcome Alex. Hooray for another small step toward diversity in video games! Good answer back in return of this matter with solid arguments and describing the whole thing regarding that. Yay! My sister and I like to play with our friends, and having all the diverse options will be so much simpler in telling each other apart! 🙂 Thanks for sharing!